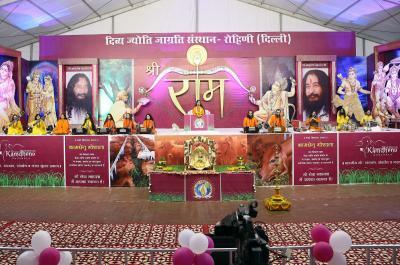 Thousands of people partook the divine nectar of Shri Ram Katha Amrit organized by Divya Jyoti Jagrati Sansthan at Huda Ground, Sector-6, at the backside of D.A.V Public School, Bahadurgarh- Haryana, from 2nd to 8th, February 2015, 2:30 to 5:30 pm. Mangal Kalash Yatra marked glorious start to this seven day mega event. 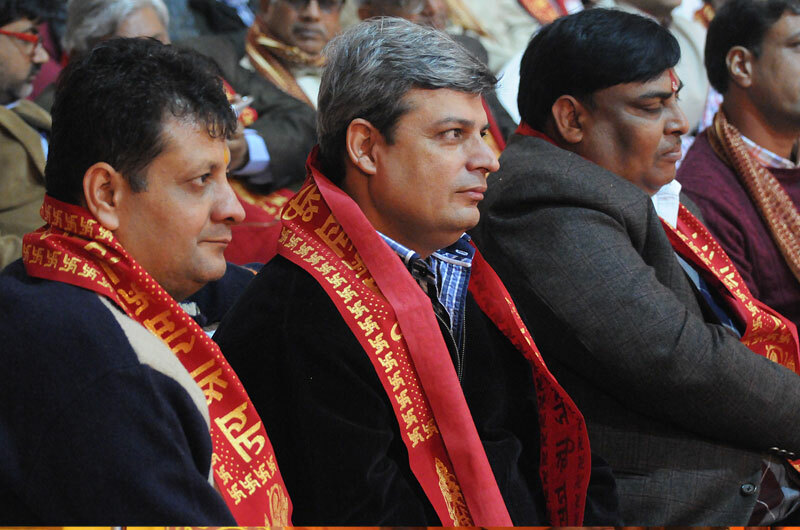 The Chief Guests commenced the Katha with lamp lightening session, which was followed by Aarti Vandana. 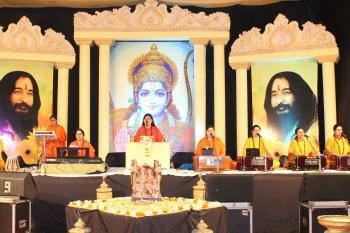 Various notable guests like Yogrishi Ramdev Ji graced the event. 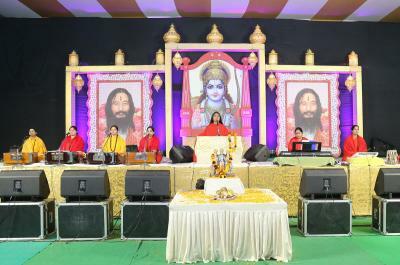 The Katha Orator Sushri Sadhvi Shreya Bharti disciple of His Holiness Shri Ashutosh Maharaj Ji splendidly elaborated about the life and deeds of the supreme power –Lord Ram, the incarnation of Lord Vishnu. Furthermore, Sadhvi Ji enlightened the masses that Lord Ram- an archetype of honesty, chaperons the masses with his eternal saga till date. Yogrishi Ramdev Ji highly appreciated the DJJS endeavors, and extended his hand for full support towards the mission. He also gave a significant talk related to Maharaj Ji's Samadhi, and supported volunteers unceasing determination for saving the pious body of His Holiness Shri Ashutosh Maharaj Ji. He even voiced that it’s the sole right of disciples of Divya Jyoti Jagrati Sansthan and not a matter of court and media. Further, Yogrishi Ramdev Ji also spoke about his admiration for the selfless efforts of Shri Ashutosh Maharaj Ji, and various social projects of DJJS being run for the welfare of the society, such as Manthan (Holistic Education program), Santulan (Women Empowerment Program, Sanrakshan (Environmental Protection Program), Antardrishti (Program for Visually impaired and specially abled people) and Kamdhenu (Bovine Conservation and Protection Program). The event concluded with the Katha Gyan Yagya. 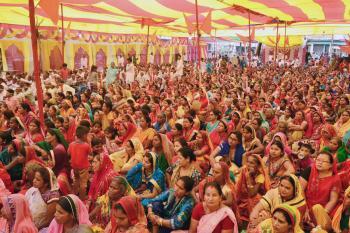 Scores of people participated off-stage in this grand Katha, and numerous people were initiated into Brahm Gyan.